Did you know that you could be paying a massive tax rate on your Superannuation contributions if you haven’t supplied your Tax File Number (TFN) to us? If you’re not sure we have your TFN on record you can check your statement, or you could send it to us again just to be sure. Giving us your TFN is quick and easy, and there are a number of ways you can get it to us. Call the AMIST Super Hotline on 1800 808 614 and either speak to one of our representatives or, if you have a keypad on your phone, select option 2 from the menu and enter your AMIST Super Member Number and TFN using your phone. Or you can write to us at the same address and tell us your AMIST Super Member Number and your TFN. Please remember to date and sign the letter. We encourage you to provide your Tax File Number (TFN) to AMIST Super. If we do not have your TFN, your account and benefits will be subject to additional taxation and will not be able to receive any co-contributions. The Trustee is permitted by law to use your TFN to identify and amalgamate benefits when making payments, and for other approved purposes. Your member benefit statement will show if you have supplied your TFN. Your TFN can be found on previous Tax Returns or on any personal correspondence from the Australian Taxation Office. We can collect your TFN under the Superannuation (Industry) Supervision Act 1993. If you do provide your TFN to us, we will use it only for legal purposes. This includes finding or identifying your superannuation benefits where other information is insufficient, calculating tax on any eligible termination payment you may be entitled to, and providing information to the Commissioner of Taxation (amongst other things to enable the Commissioner of Taxation to assess any surcharge payable on superannuation contributions made by or for you). These purposes may change in the future. If you do not provide your TFN to your superannuation fund, it will be unable to accept any member voluntary contributions from you, any contributions received from your employer will be subject to additional taxation and tax will apply at 46.5% of total contributions in excess of $1,000 where a TFN has not been quoted. The Government has also confirmed that the $1,000 threshold will not apply for accounts opened on or after 1 July 2007, which means that all contributions where no TFN has been notified will be taxed at 46.5%. If you provide your TFN to us, we may provide it to the trustee of another superannuation fund or to an Retirement Savings Account (RSA) provider where that RSA provider or trustee is to receive your transferred benefits in the future. We won’t pass your TFN to such trustee or RSA provider if you tell us in writing that you don’t want us to do that. We may also give it to the Commissioner of Taxation. 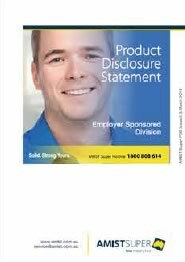 Otherwise your TFN will be treated as confidential. If your super fund does not hold your TFN, it cannot accept your personal after-tax (non concessional) contributions, which means you will not be eligible to receive any Government co-contribution.